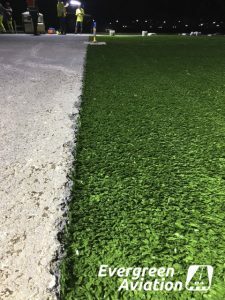 Cutting-edge Aviation Grade Artificial Turf (AGAT) has been installed at London Southend Airport during an overnight operation. 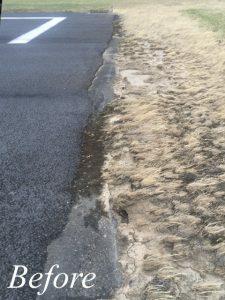 The installation was identified to remediate jet blast erosion on the end of Runway 05 by Denmark’s Evergreen Aviation in collaboration with a local four-man crew. “Our advisors at Burroughs recommended the AGAT solution to restore and future proof the jet blast area,” he said. We contacted Evergreen Aviation and met with special project liaison Mads Lauritzen, who flew in for an inspection and a very informative conversation about the civil works required. 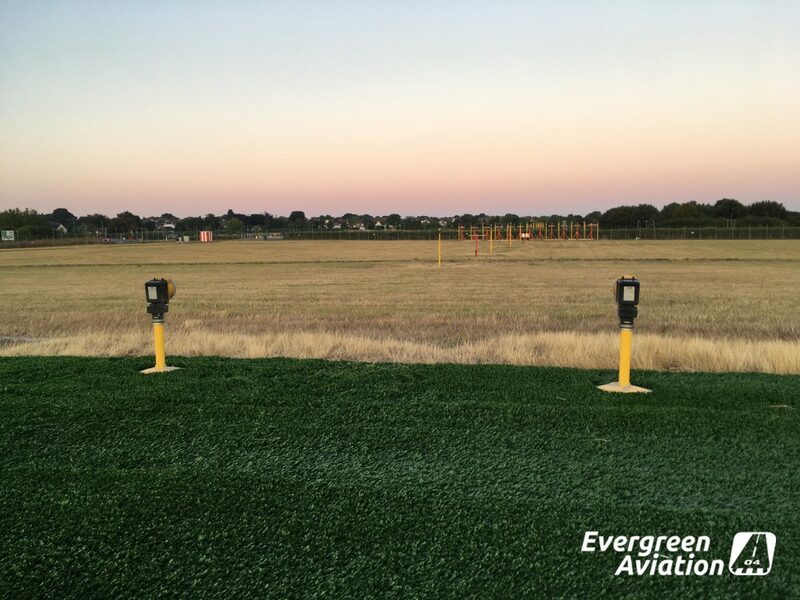 Working in collaboration with Evergreen Aviation, we identified the appropriate construction method to accommodate the AGAT safely. 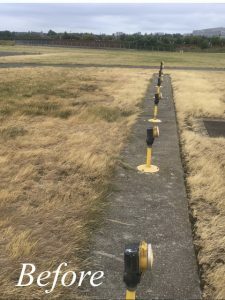 The airport identified the AGAT solution after identifying an urgent need to manage an increase in wear-and-tear to natural grass area at the end of the runway. 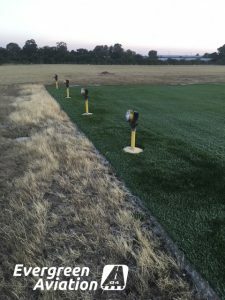 “By using AGAT, we can help these issues and provide solutions that are cost beneficial, safe, and long lasting,” he said. 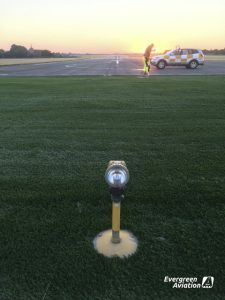 “In this case, we installed from the end of runway pavement across the main jet blast area and above the approach-bar concrete foundations, preventing foreign object damage (FOD) from eroding natural soil and minimising hazards when cutting grass around the approach lights. 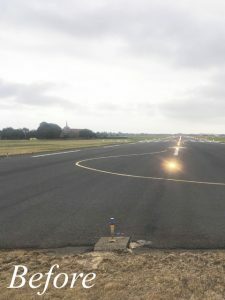 Evergreen Aviation’s technical director Nikolaj Duckert assisted chief installations supervisor Carsten Nøhr with the installation, which was carried out with the help of a four-man crew of operational staff from London Southend Airport. Together they worked within a six-hour overnight window to complete the installation before the first aircraft movement the following day. A well-prepared sub-base made by civil contractor JKS Group made sure that the installation went exactly as planned. Operations at London Southend Airport resumed on time, meaning it was business as usual next morning.